On December 26, 1994 Kaliningrad engineering plant "Strela" with Experimental & Design Bureau "Zvezda" were amalgamated. As a result the State Unitary Enterprise "Zvezda-Strela" was founded. In 1995 the State Unitary Enterprise"Zvezda-Strela" was reorganized into the State Scientific and Research Production Center "Zvezda-Strela", where Sergei P. Yakovlev took the post of director general- designer general. Yuri D. Novikov was appointed designer general. 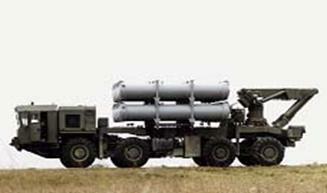 Between 1992 and 1997 the second stage of "Uran-E" flying-and-designing tests was carried out. 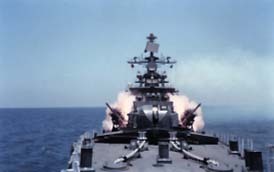 By 1999 the system' design was completely perfected, and state test of Kh-35 missile on a shipborne missile system "Uran-E" started. This year Alexei I. Belskih was appointed chief designer. Working on the shipborne system, Experimental & Design Bureau worked on Kh-35 missile to use it on a coastal missile system "Bal-E", designed by "Engineering Design Bureau". In 2000 the first tests of the system were carried out. Though the key task of the federal state unitary enterprise "Zvezda-Strela" was the development and manufacturing of tactical missiles, the Experimental & Design Bureau dealt with matters of defense aids virtually from every type of strategic threat. The projects on cruise missile-, submarine with intercontinental ballistic missiles-, intercontinental guided missile- defenses were worked out. In 2000 Jurii P. Galkin was appointed head engineer. The editorial board of the plant large-circulation newspaper "Zvezda-Strela" was founded. Despite rather difficult situation on the enterprise those years, the expansion of consumer goods production was going on. "Zvezda-Strela" produced safe locks "Bizon", a pressure-casting department of an aluminum bodies for "Kalinka" iron machines was put into operation. Summing up the results of 2000 the sales volume exceeded 2,87 billion rubles (508,8 million rubles in 1999), balance profit amounted to 559,2 million rubles, and production profitableness accounted for 19,4%. The federal state unitary enterprise "Zvezda-Strela" entered the 21st century with the good experience in the development of new tactical missiles, which scientific and technical reserve, in the experts opinion, considerably goes beyond the level of the similar world developments. The enterprise went on searching potential clients and partners all over the world. It participated virtually in every important international aerospace exhibitions and salons. In June a delegation of specialists, headed by Sergei Jakovlev took part in the international aerosalon "Bourget-2001" (Le Bourget, France). Display of "Zvezda-Strela" with the models of Kh-25MPU, Kh-31A, Kh-31P, Kh-35E missiles, information stands and posters was considered the best one between the Russian participants. During the exhibition French and Great Britain Ministries of Defense as well as the USA Air Forces were very interested in the enterprise's products, "Zvezda-Strela» received a lot of offers on further collaboration. 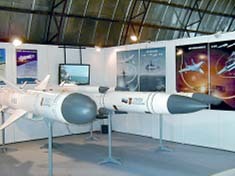 According to the results of the aerospace salon participation, specialists of the Experimental & Design Bureau and closely connected enterprises made an analytical report, which was used to forecast tendencies of the aircraft missiles' development as well as for works on development of new missiles and modifications of the existing ones. In August the federal state unitary enterprise "Zvezda-Strela" participated in the fifth aerospace exhibition "MAKS-2001", which took place in Zhukovskii, Moscow region. Over 500 enterprises from 33 countries exhibited their products. 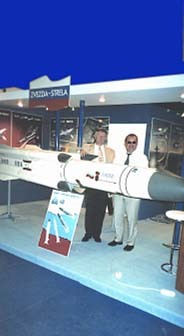 Display of "Zvezda-Strela" consisted of two stands. The first one presented the basic products i.e. 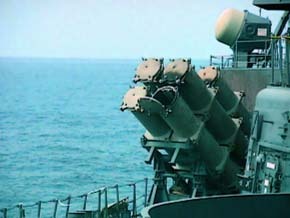 missiles Kh-25MPU, Kh-31A, Kh-31P, Kh-35E, as well as aircraft-, coastal- and shipborne systems, equipped with them. The second stand was in an exhibition pavilion of "Sukhoy" company. There the products of the enterprise were presented as the basic missiles, determining the combat power of "Su" planes. Besides, Kh-25MPU, Kh-31A, Kh-31P, Kh-35E missiles were displayed together with the plane and helicopter missile systems of "Mikoyan" and "Kamov" companies. Display of "Zvezda-Strela" visited over 20 foreign delegations. In October 2001 Alexander P. Pastarnak was appointed head engineer.